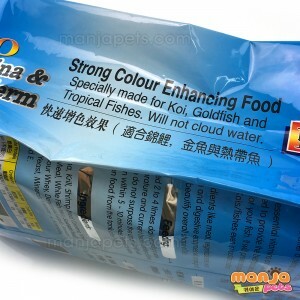 Superior high protein fish food. 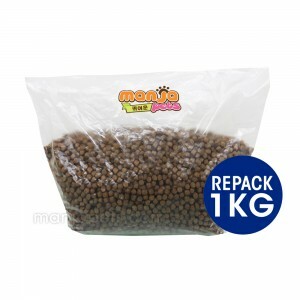 Providing a complete and balanced nutrition. 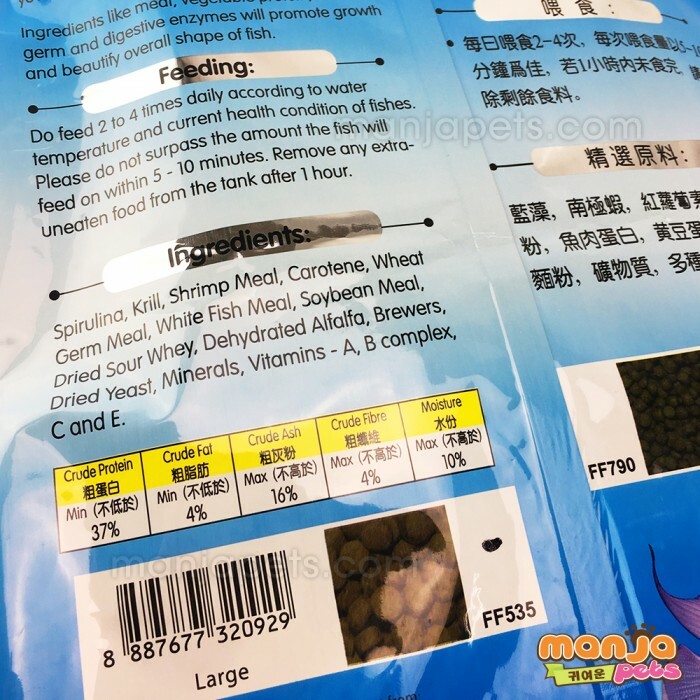 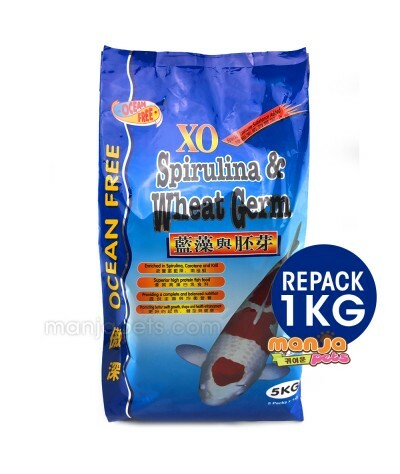 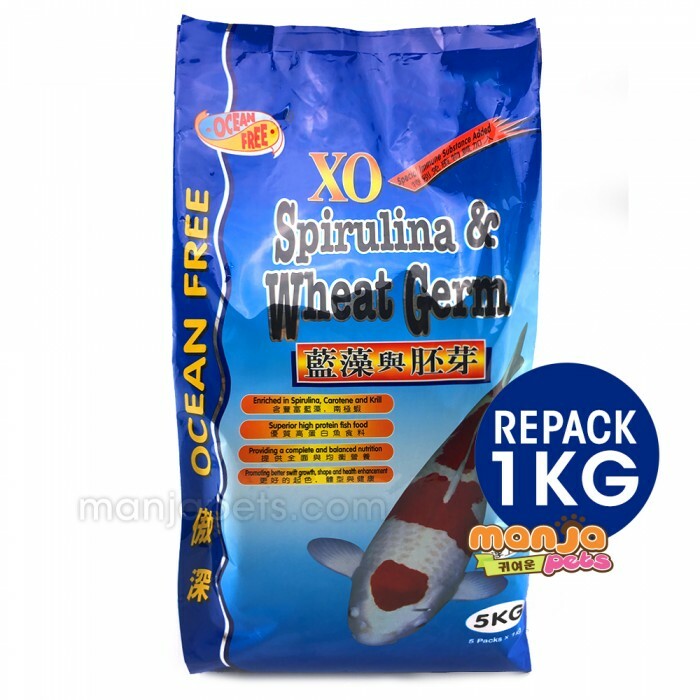 Spirulina, krill, shrimp meal, carotene, wheat germ meal, white fish meal, soybean meal, dried sour whey, dehydrated alfalfa, brewers, dried yeast, minerals, vitamins A, B complex, C and E.